phone 01482 872915 for more details or to book a call. 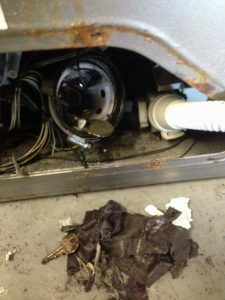 Beverley Domestic Appliances offer not only a “repair service” but also ‘planned preventative maintenance’ commitments for “white goods” kitchen and domestic electrical equipment in the East Yorkshire area. – as service agents for many National & International Companies and also by private arrangement. Twenty Eight years experience repairing most makes & models of Washing Machines, Tumble Dryers, Refrigerators, Freezers, Cookers, Ovens, Dishwashers and Vacuum Cleaners etc. In the area we can offer a competitively priced, extremely fast repair service, often same day, sometimes next day, with a timed appointment (no more wasted time waiting in for engineers who never arrive). If you live outside of the East Riding we can still help you as service agents for the National Fixed Price Repair Service. 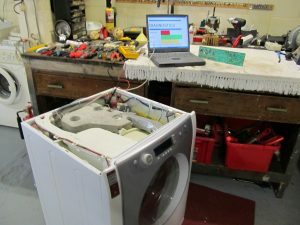 Most modern appliances are very complex, utilising the latest in electronic or computerised components, we travel with the latest “state of the art” diagnostic and computer test equipment for speedy and efficient diagnosis of faults. (The diagnostic equipment is not left in the vans when parked overnight ! ). Even with our low pricing, we give our customers the opportunity to save themselves even more money by allowing them to bring their faulty appliances into our workshop for repair, instead of a technician travelling to them. We hold a large and varied stock of both New and Reconditioned spare parts for many brands of Dish washer, Washing machine, Tumble dryer, Cooker, Oven, Fridge, Freezer and Vacuum cleaner. Please contact on 01482 872915 to check on price and availability, especially for those rare or difficult to source parts. 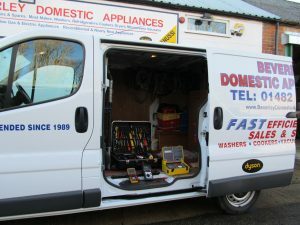 For those DIY enthusiasts capable of repairing their own equipment we can also supply parts to the general public for most makes of domestic kitchen electrical appliances from our stock, we can usually source any rare or difficult to find items through our extensive network of trade connections, often for next day delivery. We cope with a wide variety of repairs, from simple blocked pipes, pumps and filters to the replacement of motors, drums, electronic control boards, motherboards, handles and knobs. Another machine used as a piggy bank and waste disposal! 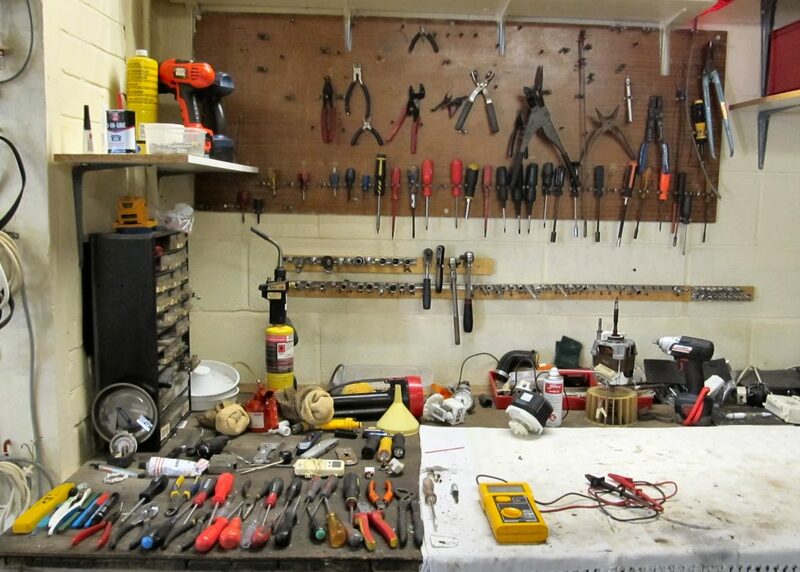 Our refurbishments are done in a neat & tidy work area. Hull and East Yorkshire PAT Testing Service. We offer Portable Appliance Testing to IEE-IET “Code of Practice for In-Service Inspection and Testing of Electrical Equipment” standards, to local businesses, institutions & public bodies.